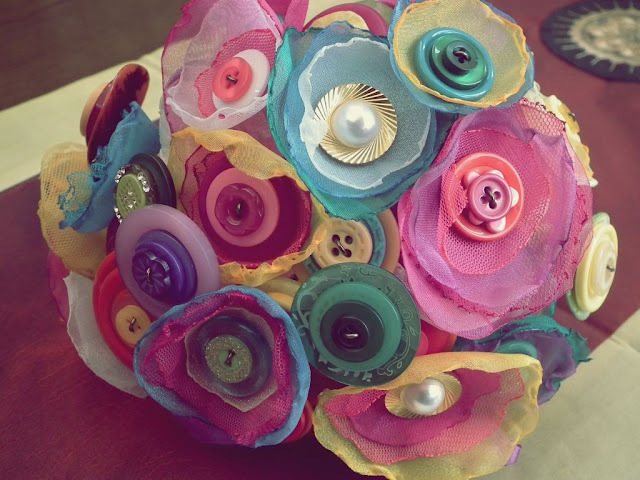 A little while ago a lovely girl named Nicole bought some buttons from my shop. The other day, I received some sweet feedback, along with a photo of the bouquet which Nicole had made with said buttons - for her very own wedding. ...who married at the US embassy in Seoul, Korea on December 13th 2010. Oh! How lovely! So nice of her to send you these pics. 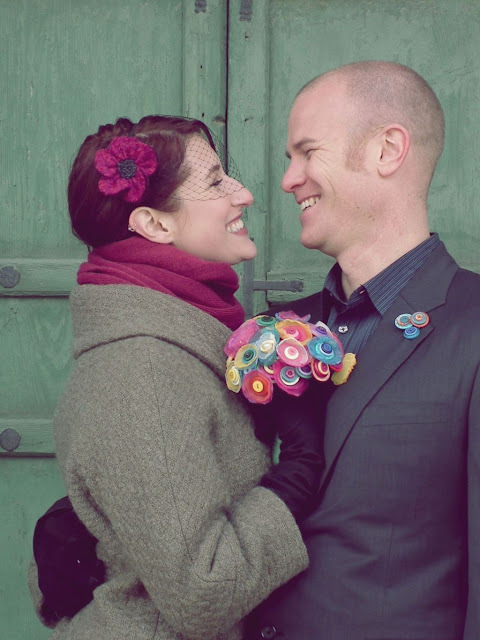 That bouquet looks brilliant and I adore her husbands matching 'buttonhole' buttons. OH so seriously cute - and such a great photo.This must have just made your day !!!! wow how very clever - looks fantastic!! such a happy photo too! gorgeous!